Beach Hut Man opens as crisp, cool and minty. This may sound harsh but I’m actually loving it – It’s like original Listerine mouthwash and blades of grass. Instead of a beach, I’m more reminded of neon lights. This fragrance is bright, a little metallic, mineral and herbaceous with an almost sci-fi quality. It’s like a scene in something like Blade Runner: neon lights glowing against darkness, twinkling in rain drops. Beach Hut Man then wears as bitter greens and sharp woods with a mojito. Instead of being metallic, the mineralness becomes damp, like stones/bricks of an abandoned abbey that are covered in ivy. The vetiver in this is smoky, but distant. It’s like a galbanum tsunami trying to put out a vetiver fire. The dry-down includes those sharp woods that really project (even into a dry-down), dried greens (AKA vetiver and moss) and patchouli. All of this manages to be dry and warm but lean sweet…my thoughts are that there are some tonka/coumarin in this that give it a chypre-like sweetness. 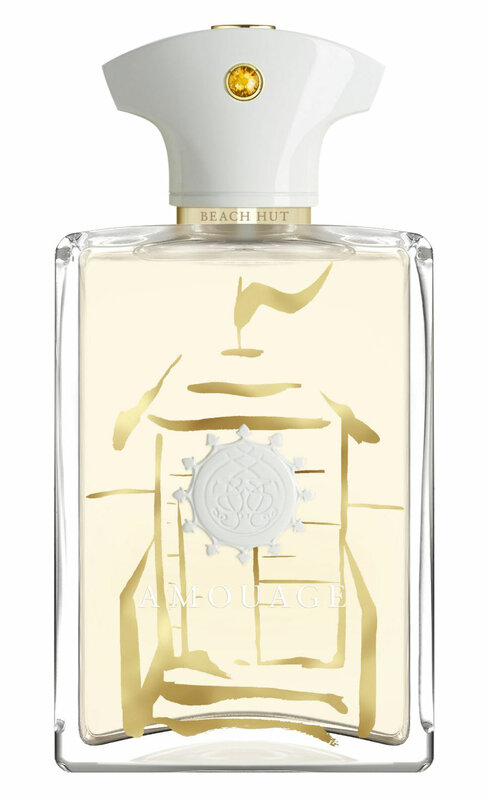 After wearing Beach Hut Man a few times, I can tell you this is not a “Victoria fragrance” at all. It’s not “me” so wearing it was not enjoyable. HOWEVER, perfumes aren’t made for me. As someone that reviews perfumes, I can take myself out of the equation. I actually love smelling this perfume; I just don’t want to wear it myself. I can see Beach Hut Man being a very pleasant perfume for those that like designer “masculine” perfumes like Guerlain Homme or Cartier Pasha but are disappointed by their performance and/or popularity. Beach Hut Man is most definitely an upgrade from these. Give Beach Hut Man a try if you like the idea of a fresh, green and woodsy chypre-ish (masculine-leaning) fragrance. Or perfumes like Guerlain Homme (and its many flankers), Precious Liquid Blue Agave, Cartier Pasha (and its many flankers), Jul et Mad Aqua Sextius and/or Pomellato 67 Artemisia. Projection and longevity are above average. This stuff lasts and lasts on the skin! The 3.4 oz bottle retails for $310 at Osswald. Samples are also available for purchase. Victoria’s Final EauPINION – Aromatic, woodsy fragrance that is GREEN and LOUD. It’s so amplified that I think of it like neon lights or like some campy, futuristic sci-fi fragrance. ¹Not that it matters, but I hate this name. It sounds so awkward when you say it aloud. Beach <pause> HutMan. BeachHut <pause> Man. They all sound ridiculous. *Disclaimer – Sample provided by PR. I am not financially compensated for my reviews. My opinions are my own. Product pic from Fragrantica. 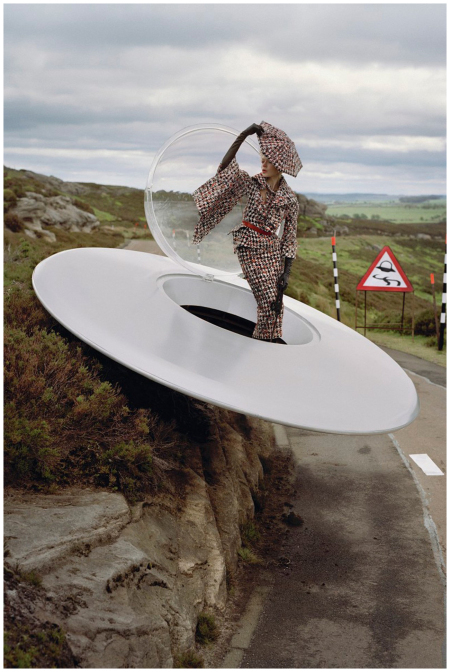 Kinga Rajzak by Tim Walker for Vogue UK October 2009. Although I haven’t tried Beach Hut Man, I definitely have the experience you describe of finding a perfume beautiful yet so not me that I can’t bring myself to wear it. In that way, it’s more like a personal adornment than a sensory experience. Because who would ever not eat something delicious because it was “not me” or not want to look at some great art for the same reason. But we do have that experience with clothes, furniture in our homes, etc. Weird, really. It is really weird, and an interesting point. I was thinking along these lines recently with my Bvlgari jewel-thing review. I very much view those sort of perfumes as accessories. Perfumes that I “throw” on and don’t think about. Then there are other perfumes that I like to think about, contemplate (AKA the sensory experience). However, I don’t eat pork or maple syrup (I gag when I smell them) even though I know plenty of other people that love it! I fully understand the appeal but wouldn’t eat either.